It was recently revealed that Konami would be bringing Metal Gear Rising: Revengeance to the PC. Shortly after this announcement, the publisher announced that Castlevania: Lords of Shadow would come to the PC as well, via Climax Studios. Has Konami suddenly grown a soft spot for the PC platform? 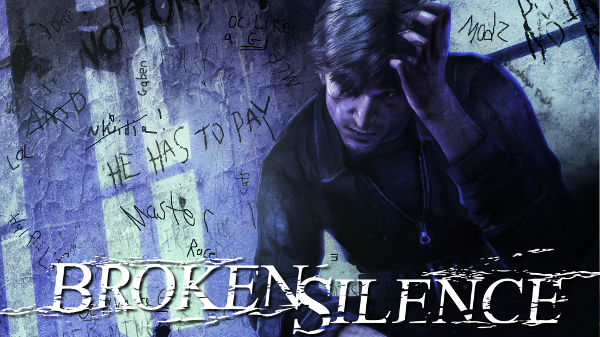 The last time I wrote a proper Broken Silence article, it was focused on how Konami could make amends for their unfaithful HD Collection with poor ports of Silent Hill 2 and 3. I suggested that the publisher could please fans by officially supporting the re-release of the PC versions of Silent Hill 2, Silent Hill 3, and Silent Hill 4 by teaming up with GoG.com or Steam. And while that suggestion fell upon deaf ears, as I’m sure the below article will as well, discussing what Konami could do to better the Silent Hill series is still one of my favorite hobbies. So, let me tell you my latest idea! With the announcement of PC ports of both Revengeance and Lords of Shadow, the latter being nearly a three year old title, it’s time for me to suggest that the publisher extend the same courtesy to Silent Hill: Downpour, the series’ latest main entry. Downpour released on March 13, 2012 to mixed critical reception – this alone may give Konami reason to ignore me, but hear me out. I loved the game; I would also love to see a superior version without the technical hiccups and muddy textures: a version of the game that can reach more people. A lot of people ask, “where are the survival horror games?” The indie development scene on PC is where many contemporary horror games can be found. Amnesia is one such game in the indie scene that helped show people that quality horror experiences can be found on PC. Mods such as Cry of Fear, Day Z, and SCP showcase the creativity and ease in which passionate individuals have supported the genre on the platform. Silent Hill, as a series, doesn’t top charts. The series is niche, out of the public eye and cursed with a taboo that suggests that it was once great and has nothing else to offer. But amidst the widely known, classic survival horror series with strong legacies, Silent Hill remains survival horror. 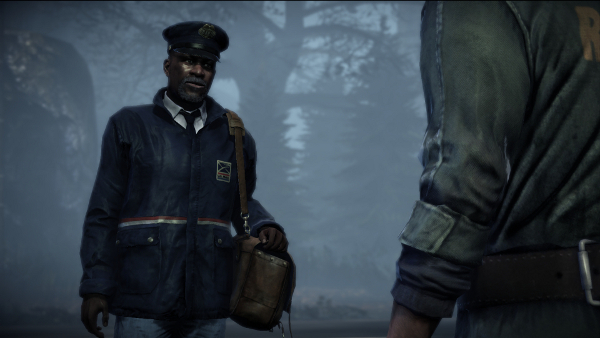 Silent Hill: Downpour embraced the genre, whether you believe that the gameplay was sub par, decent, or exceptional. It honored what makes a survival horror game about survival. 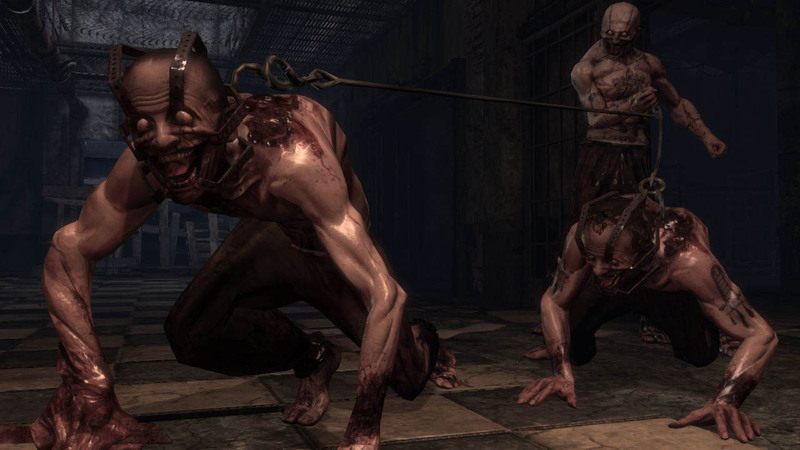 Unlike Resident Evil or Dead Space, Downpour didn’t cave to becoming a more accessible horror title. Downpour gave us an underpowered character, a sad story, and a wonderfully designed town to explore. This is why I believe it deserves its chance among other survival horror games on PC. Sadly the finished product doesn’t look as good as this early screenshot. A platform where many developers have the freedom to release a game in the genre that many larger publishers fear won’t sell well, is where Downpour could potentially get some attention from gamers. Even Silent Hill: Shattered Memories, an experimental no-combat survival horror game could receive some much needed attention on PC due to how much it would have in common with indie developed horror games. Book of Memories, an isometric dungeon crawler, could do well on the platform as well. I won’t pretend that porting a game is a low cost and simple endeavor. If Konami didn’t see fit to releasing the game in a more-finished state and with better promotion before release, I’m sure they would be hard pressed to port the game to a new platform. What I do know – which is widely known information – is that the Unreal Engine, which Downpour was developed on, has been designed to allow developers to make multiplatform video games with less complications. The process will still require Konami to hire a development studio to do the laborious task, but the point is that there would likely be less complication in the process than if the game was developed on a less-PC optimized engine. As for publishing, Konami could easily partner with Steam to eliminate retail publishing costs. Now, this is just me speculating here, but what if porting costs were relatively low enough that the risk would be outweighed by potential sales? Porting Downpour to the PC gives millions of gamers access to it. The nature of Steam Sales lures many people into dipping into low-cost but interesting looking titles out there. What if Konami were to release a PC port of Downpour at a budget price on Steam for less than $20 (retail console copies sell for about this price)? Would it be far fetched to believe that a low-priced Downpour port would be picked up by not only Silent Hill fans but also random buyers looking to nab some cheap games that look at least mildly interesting? I think Konami could very well make a profit here, which would be their motivation to port this year old game. I understand that the fear of Konami screwing up exists. They’ve shown that they can easily do so with anything Silent Hill. Silent Hill: Homecoming released on PC some time after the console version and it was a broken game that fans had to patch themselves. Despite a slew of technical faults and mixed critical reception, Konami released Homecoming on PC at full price. Currently, the game is still being sold for $40. If Konami were to do this port, they would need to sell the game at a budget price. Castlevania: Lords of Shadow Ultimate Edition is releasing on August 27th and that was a critically acclaimed game. A price around $20 at launch would be decent for a Downpour port–at least in my eyes. Konami must also be willing to adjust their price by working with Steam during sales periods. They have to have realistic expectations and be competitive. It’s unfortunate that the publisher would probably cite Homecoming‘s PC sales and reception as fair reasoning for not porting Downpour, but clearly its failure was their fault alone and in no way an indication that future PC release would fail on the platform. Hopefully, now that they’re flirting with PC ports again, they’ve got a better idea of how to appeal to gamers on the platform. If Lords of Shadow and Revengeance do well, then maybe the Konami will walk away confident in the platform (assuming they do all the necessary things to earn that success). Artist depiction of effects of Steam Sales on users. With the onset of the next console generation, I have decided to make the PC my primary gaming platform. Silent Hill no longer appears on that platform, so this was a factor that prompted me to consider the possibility of Konami putting Silent Hill on PC, but I am not alone in sharing this hope. As console architecture becomes more and more like a PC, the “easier” (I use this term well aware that developing and porting is a arduous task) it will become to port their games to the platform. Millions of gamers either have a gaming PC along with a console, or simply a gaming PC, at home. There is a market out there that Konami has recently decided to acknowledge with Metal Gear and Castlevania games, so why not Silent Hill? The publisher might be surprised if they were to take this potentially beneficial risk, as opposed to their bad ones in the past. 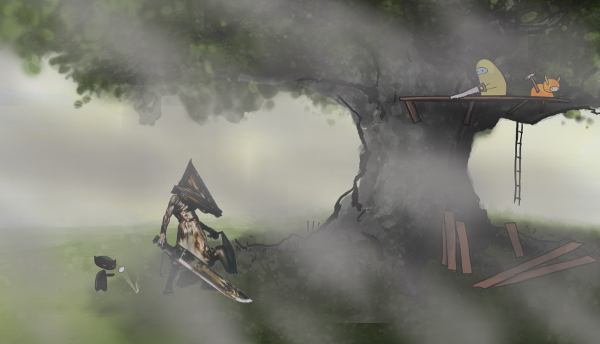 If not Downpour, then perhaps Silent Hill 10…whenever that decides to start existing. If we can’t have Downpour on PC, then let’s hope that Revengeance and Lords of Shadow sell well enough to convince the publisher that the PC is a viable platform which money can be made from.